Soft voice, rich contralto. Breathy sax. Low volume cool standards carefully selected to keep your guests entertained without intruding upon them. Perfect for restaurants, cocktails, dinner music, pre disco, corporate events, drinks receptions, networking events, meet and greets, award ceremonies etc. Susie's voice is often compared to Sarah Vaughan, Ella Fitzgerald or Marion Montgomery. Andy's sax riffing style is often compared to Ben Webster. The songs performed suit all tastes. All timeless classics. Songs loved by the casual fan and jazz purist alike. Beautiful melodies which were hits f ... or such greats as Ella Fitzgerald, Nat King Cole, Julie London, Peggy Lee, Sarah Vaughan, Cleo Laine, Frank Sinatra etc.. They are perfect background music for entertaining your guests before the loud disco or dance band starts. Summertime, Satin Doll, Boy From Ipanema, September In The Rain, Aint No Sunshine, Holding Back The Years, Stormy Weather, Cry Me A River, When I Fall In Love, The Very Thought Of You, The Look Of Love, I Only Have Eyes For You, Smooth Operator, Fever, To Make You Feel My Love, Autumn Leaves and many many more. We took my motherfor a Birthday dinner in The Blue Grill Restaurant at Thoresby Hall and had an excellent dinner matched with great service. What made the evening even more wonderful was the music played by Andy and Susie - Smooth Duo - just brilliant entertainment with a mixture of well known classic and modern songs. Highly recommended. Will be back for Tuesdays nights for sure. Smooth Duo - an absolute joy to listen to. Susie has the most magical voice and Andy is amarvellous musician on all his instruments. They surf effortlessly over all types of genres - blues, pop, jazz - you name it and they can produce wonderful music. Cannot recommend them highly enough. Recordings and videos do not do them justice - they are just magical live. And to cap it all they are the most approachable and friendly pair you could wish to meet. Love, love, loved them. Where do I start/ Two lovely people - a fantasic singer and musician. They are the ideal Duo for any venue anywhere. If you want relaxing music then this is the Duo for you. A very professional Duo and I would highly recomend them. Smooth Duo performed during drinks and canapes at our Wedding and they were fabulous. Communication beforehand was great and the performance was perfect. Susie and Andy were professional, friendly, easy going and extremely talented. Their tunes set the mood for the event and were widely complimented by our guests. Annette W Verified External review As a soloist with the National Symphony Orchestra, I had the huge pleasure of enjoying Smooth Duo performances on many occasions. Without doubt the best duo I’ve ever heard...beautiful, classy vocals complemented by sensitive, stylish accompaniments. This is a very, very special voice you really have to hear to believe. Outstanding. "Susie & Andy absolutely made my Birthday party. Everyone loved them. Their cocktail jazz is fabulous. Would I book them again? Why wouldn't I? They are brilliant!" 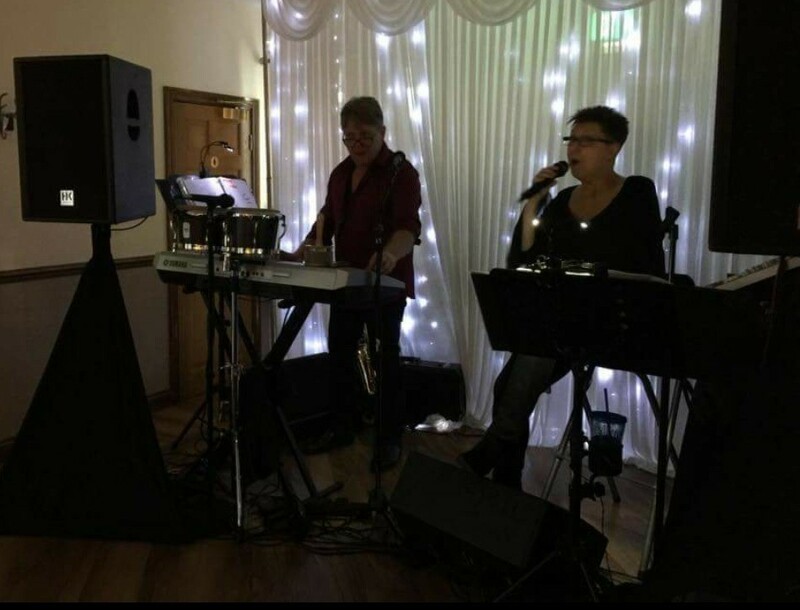 Mrs Haden of Smithills, Bolton wrote..."...the highlight of this wonderful weekend's entertainment package was the "Smooth Duo." In my time I have seen many similar sophisticated cabaret artistes many times on cruise ships, night clubs and hotels, but never have I heard one as good as these. They were so highly talented and professional. The girl had a beautiful voice and the man so talented and versatile in his playing and arrangements. 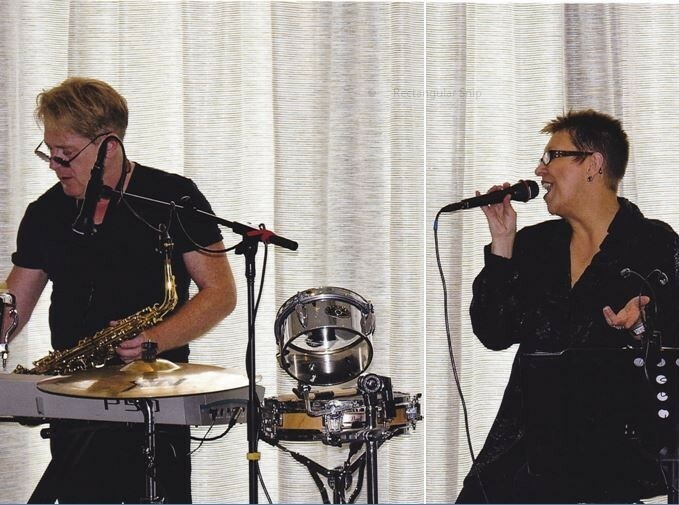 We attended our last performance of Smooth Duo on Sunday 4th August at 11pm. The room in the Pavilion Bar area was packed, the audience drinking and talking. Suddenly, there was a magic moment when the people went quiet and listened and realised they were hearing something very special. The final applause was loud and long. Wow! I do hope we will continue to hear this extremely talented duo for a long time to come. "I did not have to worry about a thing. I had a massive event to organise for the Coronation Street 50th anniversary after show party and Susie & Andy just took away the headache of the entertainment side for me. The event ran seamlessly thanks to them. And their sound is amazing. Everyone loved them." We have been professional performers for over 15 years. We are both members of the British Musicians Union. Clients include Granada Television, Yorkshire Television, Warner Leisure Hotels, HM Forces bases etc. Wedding Breakfast Entertainment Party Entertainment Private Parties Corporate Events Cocktail Receptions Product Launches Trade Shows Christmas Party Events Gala Dinners Jewish Weddings Dinner Music Entertainment Networking events meet and greet events drinks receptions. Insured for Public Liability, CRB checked, Members of Musicians Union.